3i Products, Inc., a manufacturer of indoor and outdoor cushions and pillows, selected S. C. Hondros & Associates, Inc. to design and build an 80,000 square foot expansion to an existing 27,000 square foot building the company purchased in Lancaster, SC. The existing and new construction were joined by a 3,360 square foot connector, serving also as a loading dock. The new expansion serves primarily as manufacturing space but also contains an office area. The office area is designated on the building’s exterior with white insulated wall panels. 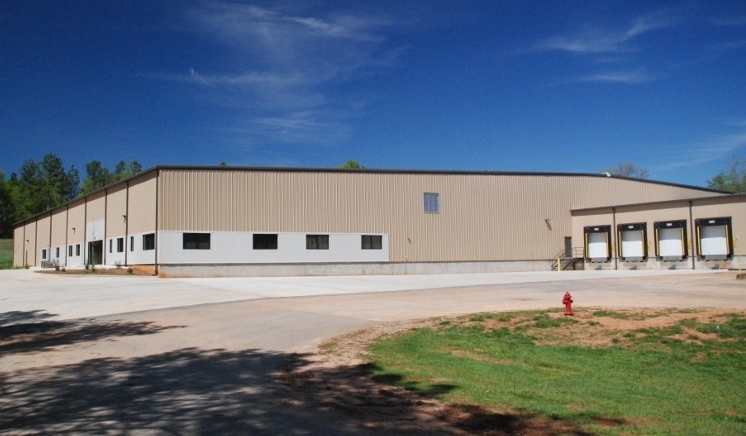 The Pre-Engineered Metal Building was supplied by Nucor Building Systems.